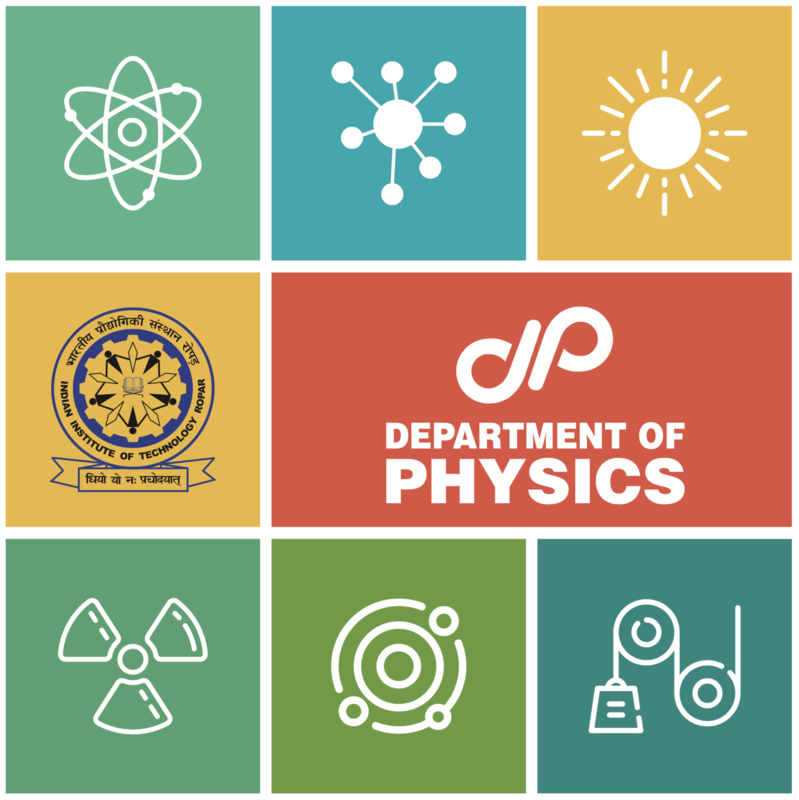 The department of Physics at IIT Ropar was established in 2009 with an ambition to pursue high-level teaching methodologies and top-notch research in advanced areas of experimental & theoretical physics, and interdisciplinary areas of science & technology. Presently, the department supports undergraduate program of the institute and offers an unique integrated MSc - MS (Research) - PhD programme in physics. Our curiosity driven research programs train young scientists to acquire knowledge and mould them as global leaders in science & technology to communicate and engage with the broader society. The doctoral candidates and postdoctoral fellows are mentored in diverse areas of physical sciences, but are not limited to; flexible nano-structures for renewable energy, ion-beam surface modifications, physics of Graphene and nano-devices, low dimensional strongly correlated electron systems, nonlinear light scattering & interfacial structure of biological relevant interfaces, nuclear reaction dynamics, structure & astrophysics, neutrino physics, mesoscopic physics & opto-mechanics, nano-scale optics & meta-materials, quantum optics, quantum information & computing, and Gravity and Strings.